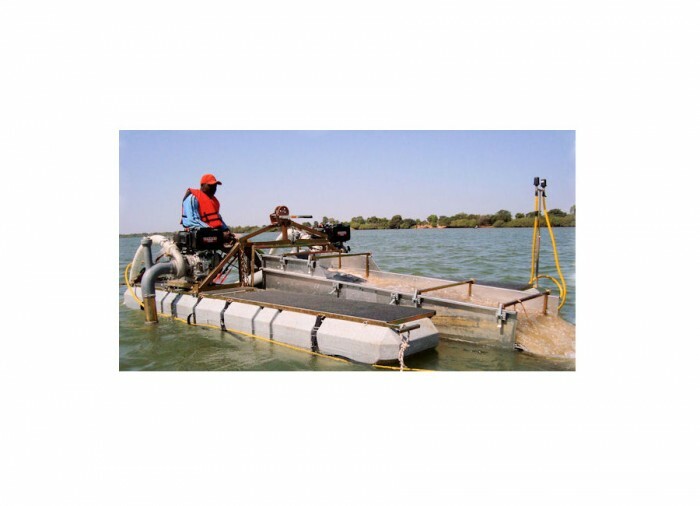 These twin engine, compact 6" heavy duty dredges are State of the Art equipment for economy and portability. 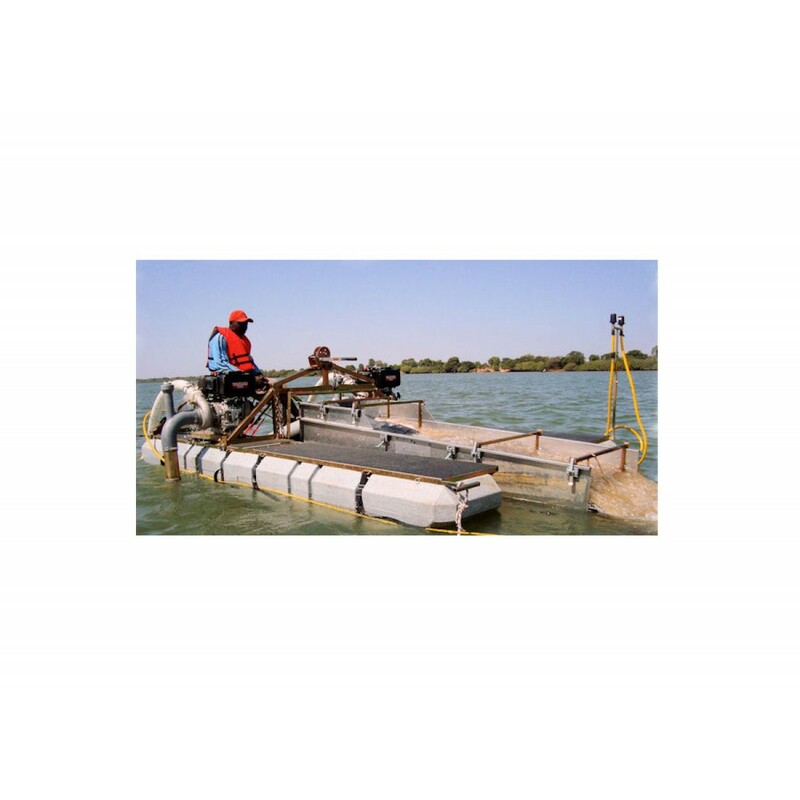 These dredges can be quickly and easily broken down into small components where two men can transport the dredge manually. They have large carpeted walkways on the decks that can accommodate several divers and provide ease of access around all working parts of the dredge. The sluice box sits at the surface of the water to reduce the water lift and increase suction power. The smaller Honda gasoline engines are powerful and provide good fuel economy. The models that are equipped with diesel engines provide the ultimate in longevity, reliability and superior fuel economy. Typically, diesel engines are a better choice for overseas operations due to safer transportation and lower fuel costs. The larger 23 hp engines offer greater suction depths of up to 60 feet. Both three stage sluices are equipped with a winch leveling system for precise tilt and sluice box adjustment. 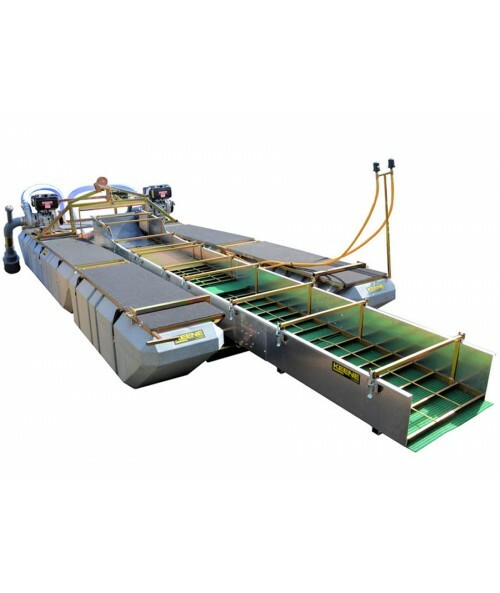 The first section of our 3-stage sluice box is designed to recover fine gold and the second half is dedicated for the ultimate recovery of gold and gemstones. 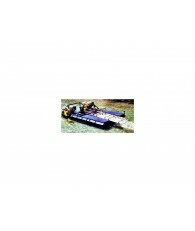 All dredges are equipped with a 263 compressor for an ample air supply for two divers. 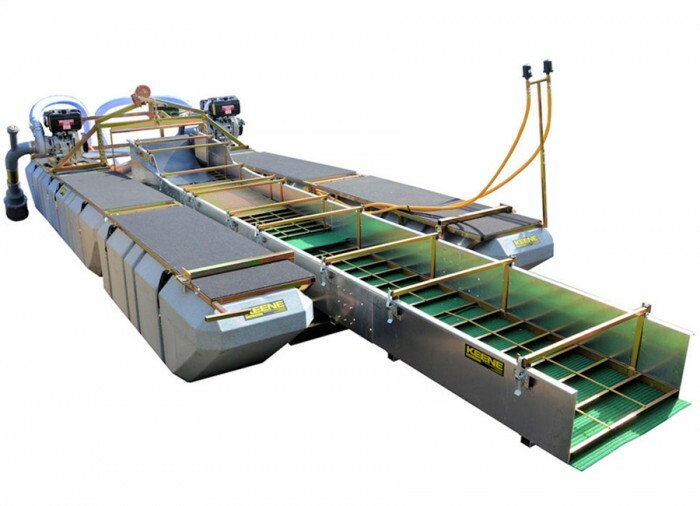 The suction system is equipped with an oversized power jet and twin eductor systems to reduce occurrence of rock jams. Mounted on modular crosslink flotation modules measuring 62” x 21” x 21”. 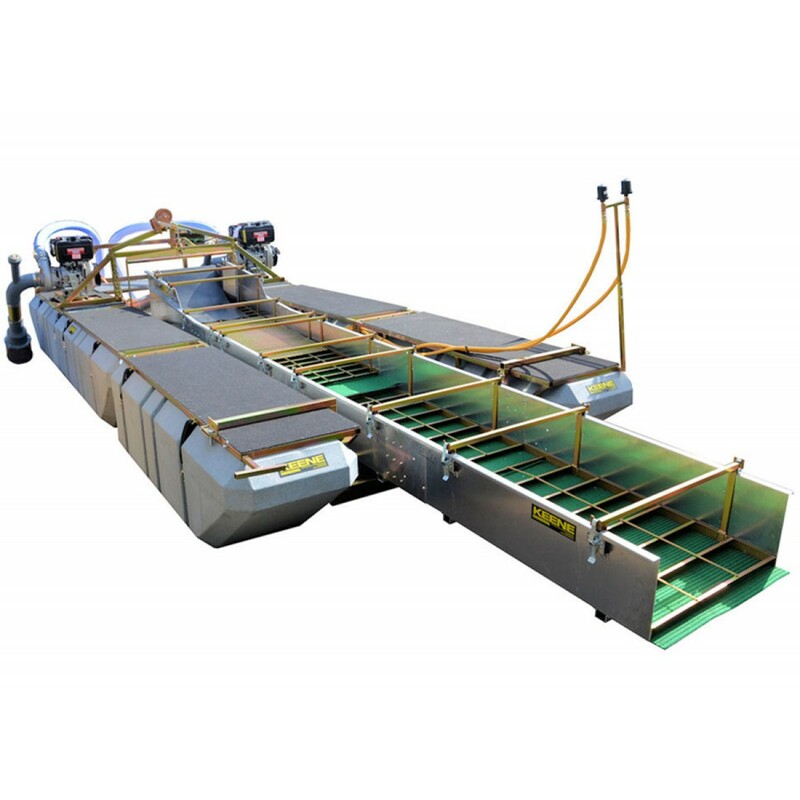 Flotation dimensions are approximately 8 feet wide and up to 18 feet in length depending upon the number of flotation modules. All 6" sluice box dimensions are 26" wide and up to 16 feet in length. All frames have been reinforced for a more stable working platform. Sluice Box : 8" x 26"